This is just a quick and dirty spice rack I put together for my wife. 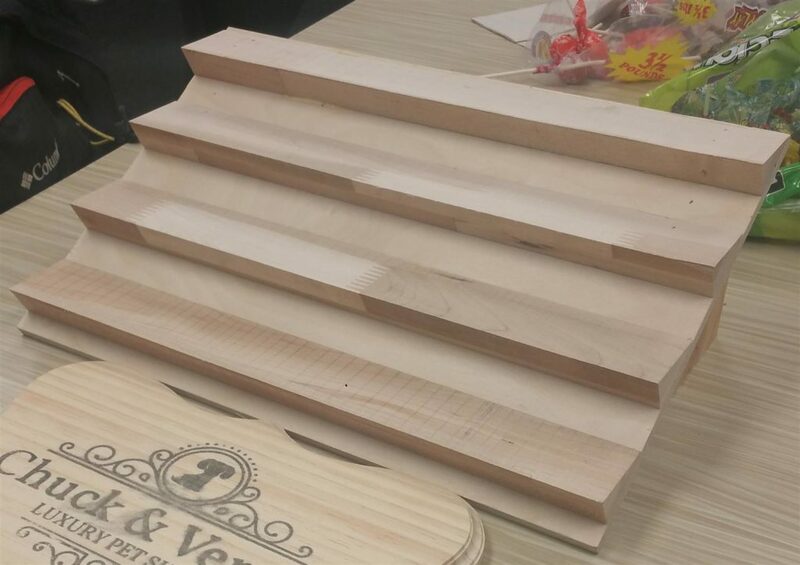 It’s a piece of plywood (supported at an angle by a chunk of 2×4) with some maple cleats glued and stapled to the front. Figuring out the size and placement of the cleats took the longest (Thanks Ben and Eric), but the entire project only took an hour or so. I wasn’t originally going for a documented tutorial, so the pictures are just of the finished product. Someone else’s measurements would vary anyhow, given the sizes of their cupboard and its contents. It’s the thought that counts, right? 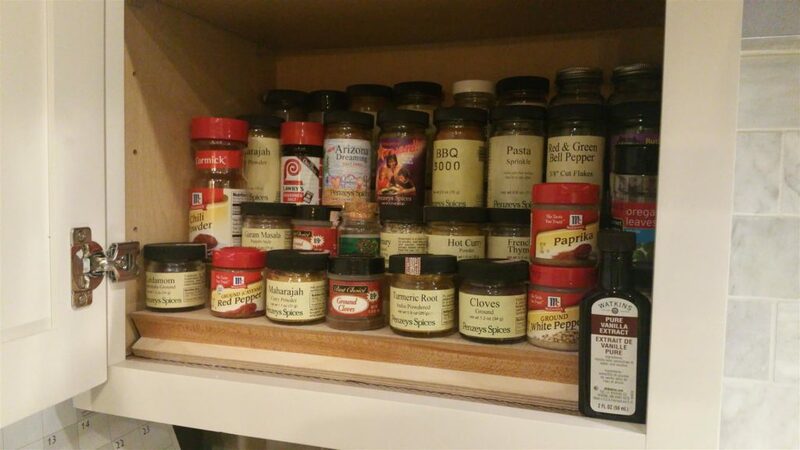 This entry was posted in Projects, Storage and tagged Kitchen, Spices, Storage, Woodworking by Kevin. Bookmark the permalink.